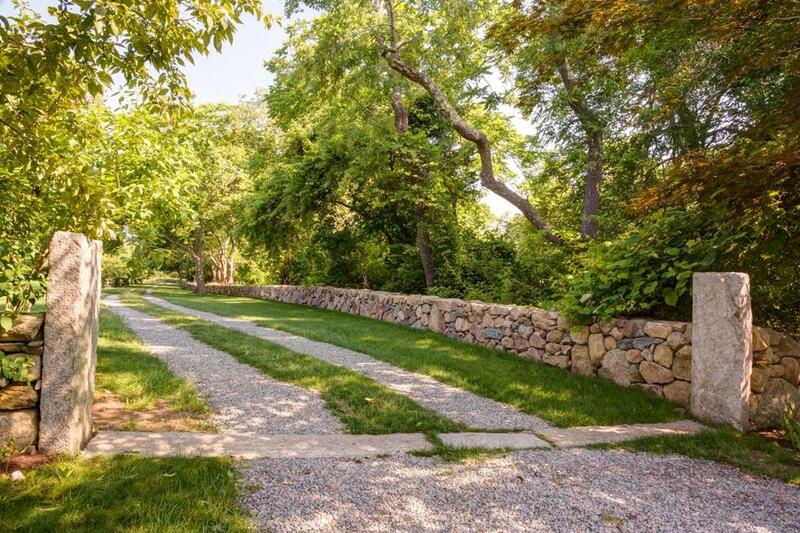 With stacked-stone walls, fruit trees, and beehives, a Westport homeowner creates a peaceful retreat. 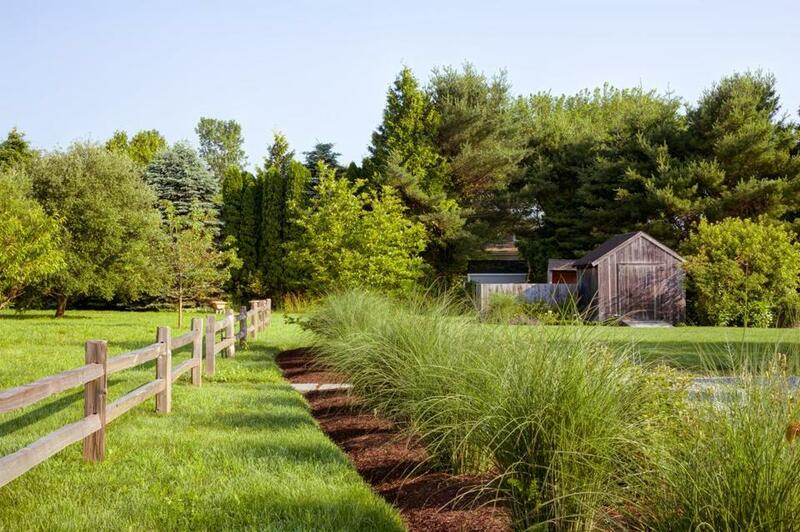 A mixed border of grasses, shrubs, and perennials runs between the pea-stone gravel driveway and the orchard, which sits just beyond the new post-and-rail fence. Homeowner Jack Gorman says the apple, peach, pear, and plum trees, planted randomly rather than in traditional rows, yielded an “incredible crop” the very first year. Gorman is pictured near the gravel driveway. The team cleared away invasive plants along the driveway, which meanders through mature trees. It winds toward the house between newly planted rows of five hawthorn trees on the right and five linden trees on the left — the half allees. “There’s nothing like the lemony fragrance of lindens in summertime,” says landscape designer Andrea Nilsen Morse. 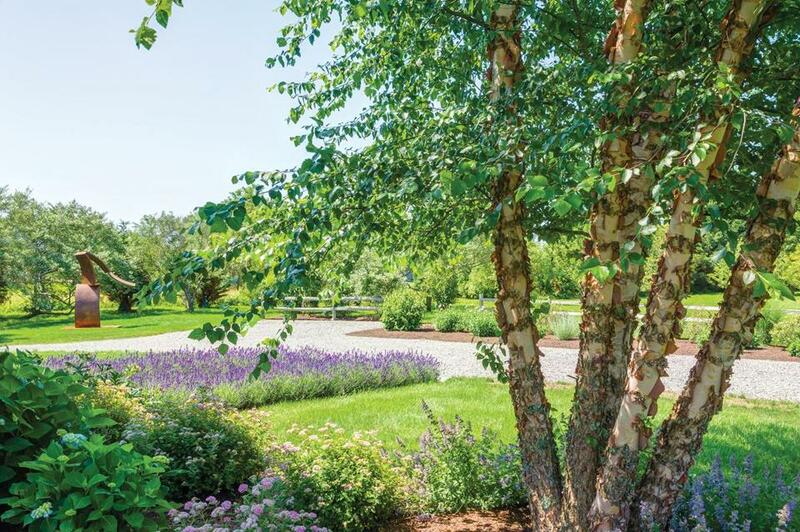 Mature woodlands line the street end of the drive and the perimeter, but save for three trees — a Stewartia, a river birch, and a magnolia — the property immediately surrounding the house was a blank slate. Gorman started by mowing and pulling out undesirables. When he saw the landscaping of a home in adjacent Little Compton, Rhode Island, he knew he had found his coconspirator. “It wasn’t overdesigned,” he says. 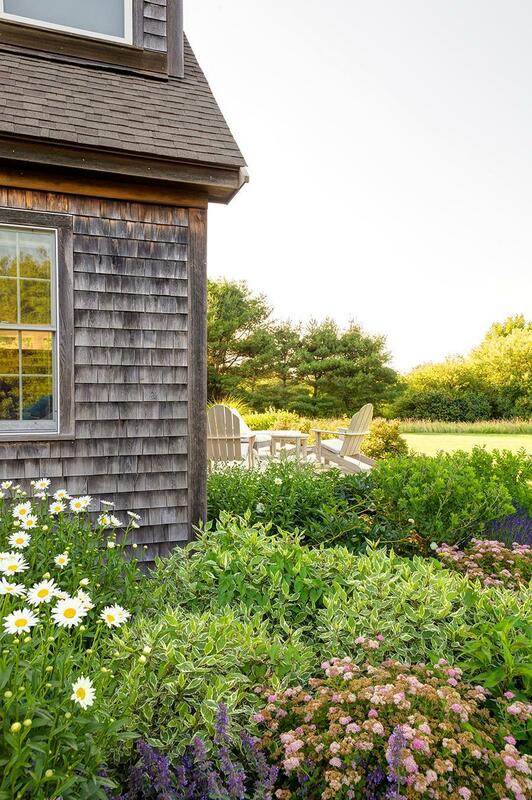 A call to the creator, Andrea Nilsen Morse, owner and principal designer of Marblehead-based Nilsen Landscape Design, established that the two were in synch. They met on-site in August 2013, and by Thanksgiving, a plan was in place. The look is in keeping with what Morse describes as the “coastal-farm hybrid” feel of the area. Installed in the spring of 2014 by West Bridgewater-based Schumacher Companies Landscape Artisans, the design balances the deliberate and the informal. It incorporates a hand-built stone wall, two half allees of mature trees with pretty blooms and delicious scents, a wildflower meadow that is home to Gorman’s beehives, an orchard of 16 trees bearing four different kinds of fruit, perennial gardens in a restrained palette of purple and white, and a majestic sculpture. Gorman commissioned Mark Wholey, whose work Morse discovered at Dedee Shattuck Gallery in Westport, to create a rusted metal sculpture that wouldn’t compete with the natural beauty of the landscape. The result is Volare, inspired by a hawk that flew overhead during Wholey’s visit. Plantings were added to highlight the existing river birch. A lush perennial garden blooms beautifully in spring, summer, and fall. In winter, Morse explains, it just “browns out and dies back.” Beyond the deck is a wildflower meadow where Gorman, an amateur beekeeper, maintains two (soon to be six) hives. Marni Elyse Katz blogs about design at StyleCarrot.com. Send comments to magazine@globe.com.